Processed, fried, junk, fast food– the monikers are many but the danger is singularly strong. 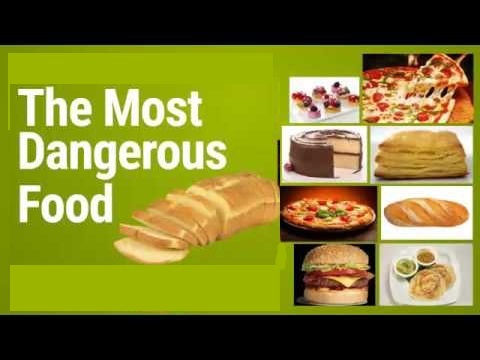 Canned goods, processed items, and calorie-rich junk food is probably the single most dangerous food invented. 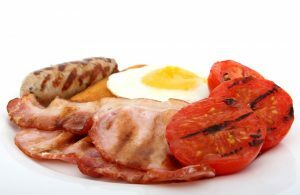 IN the year 2015, WHO reports documented how eating processed meat leads to bowel cancer. Red meat can even cause cancer. WHO has also classed hot dogs, sausages, and bacon with tobacco, diesel fumes, and asbestos as known carcinogens. No other food has so much potential to make you fat, sick or even kill you. Eating fast food leaves you overweight and undernourished. It is the single most dangerous thing you can do when it comes to a diet that damages your body. Junk food contains meat-linked carcinogenic substances, increased calories, and saturated fats. It is the principal source of the rising chronic medical conditions on account of dangerous trans fat. But the delicious taste acts as a siren call, fueling a multi-billion dollar industry. Conspicuous consumption of fast food has become the single most important factor in the rising rate of physical and even mental illnesses. Junk food creates a culture which initiates danger. Fast-paced, frenetic lives aided and abetted by junk food makes us all candidates for serious health conditions. The rising rate of obesity among children, teens, and adults is creating a generation of food obsessed and chronically unhealthy people. Most people are aware of processed, fast food is not ideal for you. They don’t understand the consequences of excessive calories, saturated fat, and carcinogens. Fast food is lethal because of trans fats. These are man-made fats that were unknown to humans until 1911. Adding hydrogen to polyunsaturated oil makes it saturated and turns it into a stable fat at room temperature. Partially hydrogenated fats are this type of fat, created due to the addition of hydrogen to polyunsaturated fat. More saturation makes it stiff and solid. Though trans fat does not go rancid easily, it does damage your heart health and organs and is terrible for blood cholesterol. Deep frying is another no-no. Why is this so? Quite simply because this frees up free radicals from the fat and causes oxidative stress leading to diseases such as cancer and heart disorders. Trans fat is one of the most dangerous ingredients known to man. Nowhere is this more evident than fast food chains where burgers and fries are reeking of partially hydrogenated oil. Health buffs and food critics, as well as animal rights campaigners, have talked about high-fat content and increasing health dangers of fast food. Doctors and nutritionists have written so many informative articles on this. Yet, people freely eat junk food, punishing their bodies and pandering to their taste buds. Consider that a typical cheeseburger and fries combination packs a powerful calorie punch of around 1000 and you will realize just how dangerous fast food is. People enlarge their appetites by eating beyond a limit and pushing their health to the limits, in turn. Fast food is available just about everywhere. It is easily accessible. Whether it’s ice cream, salty snacks, soft drinks, candy or bakery goods, processed items have no nutritional value. What they do have (and in plenty is) calories, fats and salts. Adding some unwanted inches to your waist is not the only problem of eating fast food. It also causes brain damage! Regular consumption of junk food traps you into eating disorders, depression, and emotional eating. The more junk food is eaten, the fewer nutrients are consumed. Here’s the lowdown on how dangerous junk food can be. An American Journal of Clinical Nutrition study found that healthy people snacking on fast food performed badly on tests for attention, mood, and speed. Eating junk food has been conclusively linked with memory problems. This is because toxins in junk food inflame the hippocampus, the area of the brain responsible for remembering and recognition. A sugary, fat-rich diet also surpasses brain peptide called BDNF or brain-derived neurotrophic factor. This assists with learning and memory formation and lack of this peptide can impair both processes. Synaptic links between nerve cells for learning and memory weaken and malfunction as a result of consuming too many calories. 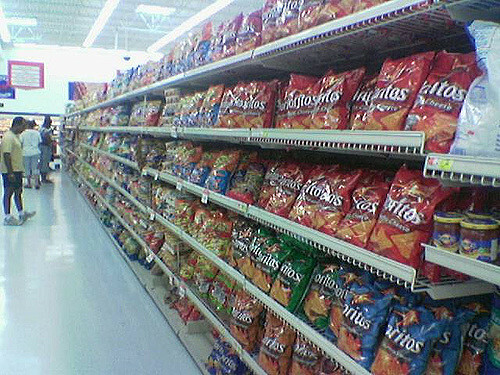 This is one of the biggest problems associated with the consumption of junk food. Insulin is generated in the pancreas and aids in the transportation of fuel in the form of sugar to the body. Insulin also plays a vital role in transmitting nerve signals and the formation of memories. So imbalances can lead to a real problem when it comes to neuro-degeneration. With higher levels of insulin, the brain develops a resistance to it. This comes in the way of correct recall, accurate memories, and efficient cognition. This raises the chances of developing dementia. Alzheimer’s is even considered diabetes of cognitive type by researchers. Too much partially hydrogenated oil in the form of trans fat affects the satiation centers of the brain and impacts your ability to process what you have eaten and existing hunger levels. This causes overeating. Healthy brain functionality requires essential fatty acids like Omega 3 and 6. So many brain-related mental disorders like ADHD, Bipolar and dementia stem from poor eating habits, say researchers. A study in 2011 found trans fat makes inflames the hypothalamus. Why is this area of the brain important? The lateral and ventromedial hypothalamus control the capacity of the brain to detect hunger and satiation levels. This can, therefore, damage the ability of the person to know when to stop eating and contribute to obesity and poor impulse control. It may even stimulate addiction and substance abuse disorders. #4 Chemicals In Your Brain? Numerous studies have shown that consuming foods which are excessively high in fat and sugar changes the chemical activities of the brain. It also makes it dependent on junk food. Withdrawal symptoms can even result if junk food is discontinued. Imbalance of fatty acids and loss of essential acids like amino tryptophan which contributes to depression. Eating a sugar-filled cupcake is not a good idea. What makes junk food so dangerous? This spikes your blood glucose levels, initially leaving you satisfied by eventually leaving you in negative moods. Fast food contains a high amount of carbs causing fluctuation in blood glucose levels. With this process in place, eating too fast leads to more craving for food. It can also make you hyperactive with sodium benzoate, an ingredient found in most junk foods. Food adds energy to your body and serves as fuel. It can impact your health in myriad ways. The addictive aspects of junk food make it so very dangerous for you. Junk food can trigger digestive issues. Those into junk food are likely to cause acid reflux problems like GERD and IBS. Junk food is rich in trans fat which increases acid production. Oil from the fast food gets deposited on the lining of the stomach wall, increasing acid production. Inadequate consumption of fiber also leads to digestion problems like hemorrhoids and constipation. 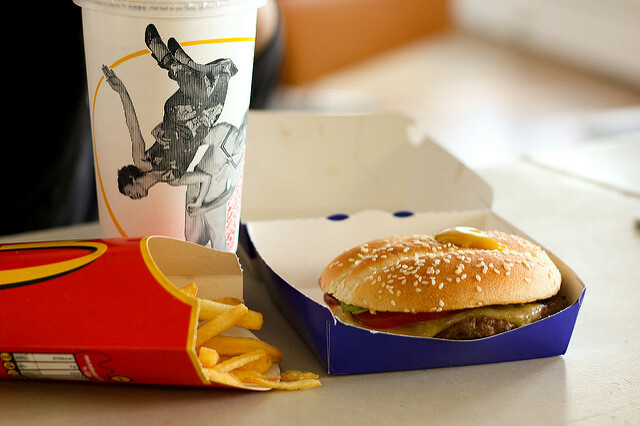 Fast food and sugary, fizzy drinks have a lot of calories and carbs. This increases the level of blood sugar and pancreas increase the amount of insulin. As Sugar absorption causes blood glucose levels to drop, releasing a hormone called glucagon. This signals the liver to utilize stored glucose. When there are frequent spikes in blood sugar due to ingestion of junk food, this hampers insulin resistance and leads to diabetes. Additional sugars in the junk food items lack in nutritional value but have a high calorific value. American Heart Association states that twice as much sugar as is required is consumed by US citizens. Extra calories equal obesity. But trans fat also raises LDL cholesterol and lowers good cholesterol known as HDL cholesterol. This increases the chances of developing heart problems such as coronary diseases, arteriosclerosis and much more. Excessive sodium leads to water retention. This, in turn, creates feelings of puffiness and bloatedness. Salty food goes beyond triggering hypertension or enlarged heart muscles. Congestive heart failure, cirrhosis or kidney disease are the results of excessive salt as this builds up fluid. 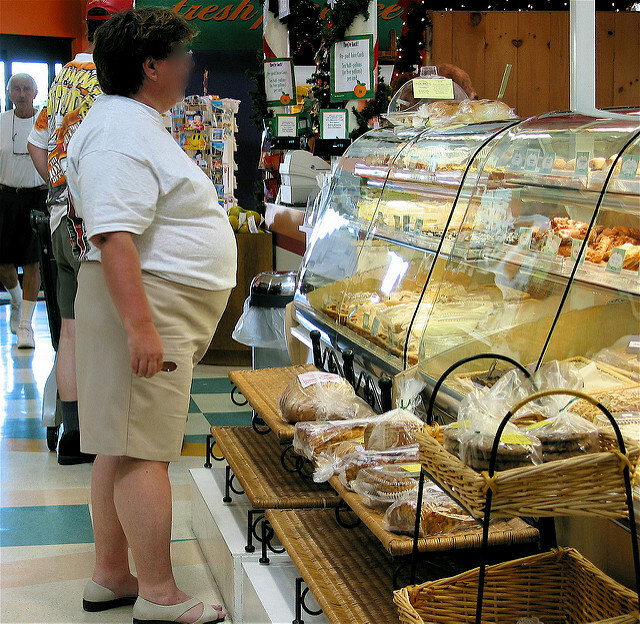 Obesity causes respiratory problems as well. Shortness of breath, wheezing, sleep apnea, and other factors can trigger shallow breathing and lead to respiratory conditions like asthma and rhinitis. CNS responsible for the condition of brain synapses or nerve junctions that transmit signals and form the basis of mood, emotions and brain functioning can be damaged due to excessive junk food. This one’s a no-brainer. Junk food impacts the molecular basis of memory and learning and this, in turn, leads to cognitive deficits. Greasy junk foods are a serious problem when it comes to acne. High in carbs, they spike blood glucose levels and lead to acne. When you eat foods high in sugar and carbs, bacteria in the mouth generate acids. This destroys tooth enamel and leads to the development of fragile bones or osteoporosis. This is another problem associated with junk foods. They lack the nutrients needed to boost energy levels and act as fuel for the body’s energy needs. This fails to meet needs for instant energy and increases feelings of weakness and fatigue over time. Junk food lowers energy levels as it becomes tough to perform even basic tasks. Junk food over a steady period of time can have the same effect on the liver as consuming alcohol on a regular basis does. Liver enzymes show a change in those who gorge on junk food and avoid exercise. High level of trans fat is found in junk foods leading to liver dysfunction and deposition in the liver. The dreaded disease associated with terminal outcomes, cancer comes last on this list. But this in no way takes away from the seriousness of this disease or the grave implications it has for junk food eaters. According to the European journal of prevention of cancer, too much junk food leads to colorectal cancer. Fried foods increase the chance of prostate cancer too. So, what’s the biggest problem with coffee creamer? Quite simply, there’s no cream! The first three ingredients listed on Nestle creamers include canola or soybean oil along with tons of sugar. Your morning cup of tea or coffee could also be laced with deadly preservatives like di and monoglycerides. OPt for milk instead or try plant-based creamers. These have fewer calories and less sugar. Even the bread you eat could be harmful to your health, if it’s bleached, white flour bread. Your sandwich could be laced with chemicals like azodicarbonamide (also famous for being a yoga mat additive Subway once used) and potassium bromate (a cancer-causing chemical). Azodicarbonamide is a dough conditioner used to make bread dough fluffier. This chemical, once baked, turns into a known carcinogen. So opt for wholegrain or wholewheat flours and bread that lack this bleaching chemical. Yes, companies do advertise fruit juice as 100% natural. What is wrong with this? Everything, as reports indicate that while 100 percent fruit juice is high on sugar, high-fructose corn syrup-rich fiberless fruit juices are also sold in the market. Some of these pack up to 36 grams of sugar in a single cup or what you’d get from a grand total of 4 Krispy Kremes. It’s basically a sugar bomb. Though it’s natural sugar, it’s treated the same way as any other sugar. Most of the sweet taste comes from fructose, a sugar associated with visceral adipose tissues in overweight individuals. In other words, you’ll get belly fat, according to medical studies! Instead, freshly sliced fruits in plain water could be a better bet. Artificial coloring, sugar and even flame retardants (yes, actually!) make it to your diet soda. There’s caramel coloring which is artificial. Then, there’s aspartame, and BPA or bisphenol-A. Forget regular soda, even diet soda, and fizzy drinks are rich in aspartame, a synthetic sweetener initially developed for boosting weight loss, but instead found to have the opposite impact, raising levels of glucose in the body. This burdens the liver and causes excess fat deposits as well. Choose H20 instead and stay healthy. If you’re tired of plain water, try delicious detox teas. Deep-friend foods are cooked in high heat with plenty of added oil. What could be more harmful than this? So, fried chicken, calamari, pork rinds or steaks are not just delicious, they are actually harmful to health. Apart from the high fat and calorific content, the issue with fried foods is that they come with massive amounts of inflammatory AGEs or advanced glycation end products. When non-vegetarian items are cooked at high heat, these compounds form. A 2015 study found that sustained exposure to AGEs causes native immunity to slacken, setting the stage for oxidative stress and leading to inflammation. Researchers at the School of Medicine at Mount Sinai found people who cut out these fried and processed foods reduce the inflammation in their body. So opt for grilled and baked food in the oven. Sugary cereals contain a lot of unhealthy ingredients like butylated hydroxytoluene/BHT, refined carbohydrates, added sugar, butylated hydroxyanisole. There’s no way around it; sugar really damages the body. Consuming too much sugar leads to obesity and problems like diabetes and heart disease. More cereal companies are packing sugar by the tons into your single bowl of cereal. Many types of cereals are even laced with BHT or BHA, banned in the EU, UK, New Zealand, Australia, and Japan. Instead, opt for cereals with low sugar and plenty of flavors. Frozen aperitifs need to be warmed to be consumed. These are high on sodium/salt and preservatives. Why are preservatives added? To make the food last longer. But unfortunately, your lifespan will shorten in the bargain. Instead, you need to opt for low sodium, low-sugar frozen options that are organic. These actually tend to be high in sugar, sodium, calories and even fat. Desserts can contain so many bad ingredients, which can damage your health. Try sorbet scoops to quell your sweet tooth instead. As per the Pew Research Center, America has over 90 grams of added sugar a day in 2014 – close to 40 grams above the FDA recommended intake of 50 grams in a single day.This is above the WHO’s recommended intake of just 25 grams, too. Refined and whitened sugar is linked to every imaginable disease out there, from type-2 diabetes to heart disease and obesity. Reduce the intake or choose natural sweeteners like Stevia instead. So, what are the deadly ingredients in your innocent looking frosting on the cake or pastry? There are caramel coloring, titanium dioxide and artificial agents besides propylene glycol. Brands like Duncan Hines are made with partially hydrogenated oils and cottonseed oils. Despite being white, the frostings are tinted with carcinogen-contaminated dyes like caramel coloring besides other artificial coloring and titanium dioxide. Propylene glycol in frosting recipes can lead to poor kidney health, as per the American Journal of Kidney Diseases. Instead, opt for healthy frosting as it is easy and delicious both. Create frosting using buttercream rich in monosaturated fats and flavonols to reduce chances of heart disease. Pancake syrup contains high-fructose corn syrup and caramel coloring. These are foods that are deceptively delicious. Famous brands like Mrs. Butterworth and Aunt Jemima contain liver-damaging high fructose corn syrup and carcinogen based caramel coloring. Real maple syrup is excellent for the waistline because it is graded A medium amber pure maple syrup. As the flavor is concentrated, even small amounts can be had for long periods. Fiber-less fruit is the biggest reason bottled smoothies make this list. Early morning, quick breakfasts are really appealing, so checking out store sold smoothies may be what you opt for. Timesaving drinks, however, have a downside. As against freshly made drinks, falling short on nutrition and being calorie and sugar-filled are the main reasons why bottled smoothies are not a good choice. Some smoothies have over 60 grams of sugar and absolutely no fiber. Opt for homemade smoothies and save yourself from skyrocketing blood glucose levels. Bacon & Sausage may be an old fan favorite, but it has its own issues. Unhealthy ingredients like nitrates and nitrites form when the meat is cooked at high temperatures. Processed meats are essentially the worst. Made from red meat, which is high in saturated fats, they contain high AGEs levels. AGEs are inflammatory compounds created and these processed meats are dried, smoked and prepared at high heat. 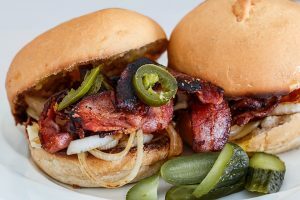 Nitrites and nitrates in cured plus uncured or natural meat transform into carcinogenic nitrosamines, when exposed to high heat, as per Meat Science. Sausage is roasted on the flame flickering grill, while bacon is in the frying pan. Even when manufacturers limit the number of nitrites used and antioxidants are added to inhibit nitrosamines, the only way to safeguard your health is to include no nitrites, only salt in the meat you cook. The unhealthy ingredients here are created due to high heat. Grilling is safe, but charring the meat is not. Charring the meat leads to heterocyclic amines or HCAs which develop when the creatine, amino acids, and sugars in meat react to the high temperature of the grill. Several studies published have linked HCA with increased chances of pancreatic, breast, colorectal and prostate cancers. So, what’s the solution for this? To lower risk, spice it up with spice extracts that are antioxidant rich. Use herbs like rosemary, basil and thyme before grilling to slash the HCA production up to 90%, as per a Journal of Food Science study. Another way to lower the risk is turning down the heat since burnt meat has higher HCA concentration. 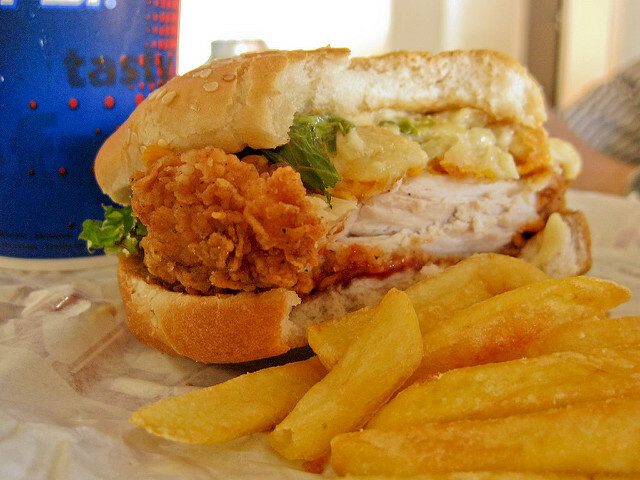 There’s a reason why fast foods are known as junk foods. They contain unhealthy ingredients like Phthalates. Phthalates are a class of endocrine-disrupting toxins chemical in nature. Like BPA, phthalates are used in plastic food as well as beverage wrappers, and food packaging. 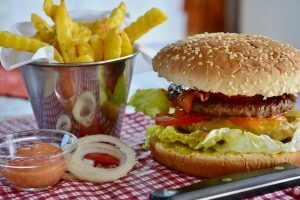 A 2016 study by Environmental Health Perspectives found people with fast food had dose dependent higher levels of phthalates compounds than infrequent eaters. This is just the start of bad news for breakfast enthusiasts. 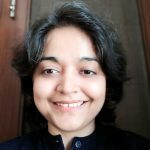 A separate study in Environmental Science & Technology found phthalates were linked to CRP markers of inflammation and another Environmental Health study connected higher exposure of phthalates to metabolic syndromes or disorders associated with massive weight gain and high levels of inflammation. Avoid junk food and fast food joints. Opt for casual dining instead or healthy home-cooked meals. The energy drinks on sale, from Monster to Red Bull, are dangerous for your health. These beverages are chemical cocktails infused with caffeine and strong coffee and plenty of sugar or scary artificial sweeteners. A University of Maryland study further found energy drinks are 11% more likely to corrode the teeth as against regular soda. Another equally frightening finding was a case of a 50-year-old who regularly drank 4-5 energy drinks every day over 3 weeks only to develop acute hepatitis. Instead of choosing energy drinks, opt for all natural energy boosters. Individuals can lose up to 10 pounds by drinking this tea for a week. This is laced with dangerous ingredients like BHT and BHA. Using pre-made pie crusts may save you time but what is on the store shelves could be detrimental for your health. Popular and well-known brands like Pillsbury contain ingredients like BHA and BHT which must be avoided. Make sure your ingredient list is free from such preservatives as this can be a real problem. The unhealthy ingredients here are sugar and sodium. Biscuits from a scratch can take forever, but packaged bagels and muffins are filled with sugar and sodium. Next time you consider eating a morning breakfast of biscuits and tea, think again. Opt for low-sugar biscuits with manageable sodium count. The unhealthy ingredients here are high-fructose corn syrup or sugar. BBQ sauce may be a great choice for those who love the smoky sweet taste, but it damages your waistline. Most bottled sauces and condiments are known for tons of added sugar and sugary variations. One of the most common ingredients for individuals is high-fructose corn syrup. This has been linked to increased chances of heart disease, as per a study by the American Journal of Clinical Nutrition. Made with corn syrup and sugars, each of these sauces is extremely high on calorific value. Opt for mustard instead as a condiment.It has low calories at just three calories in a single teaspoon. It packs a punch, too. Try Worcestershire sauce along with tomato paste, vinegar, liquid sauce, and spices. No, ice cream is not the only junk food out there. Make sure you also include diet ice cream in the list. 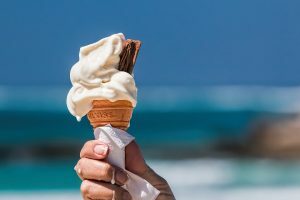 When creamy milk is no longer an ingredient, polysorbate 80 is the chemical additive manufacturers turn to, and though it gives the ice cream a creamy texture, it also harms your health. 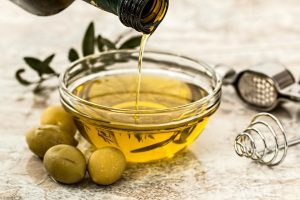 Georgia State University conducted research, only to find this emulsifier linked to intestinal inflammation. Gatorade may be good for a dunk, but it won’t work well if you actually drink it. While such sports drinks offer post-workout electrolytes like sodium and potassium, it serves up a hearty helping of sugars and calories. There are over 52 grams of this sweet stuff, more than a day’s worth in just a 30+ ounce bottle. The beverage even has additives like artificial dyes. A better way to replenish electrolytes and water after exercise is coconut water. This is an unhealthy sugar and sodium combination you want to steer clear of. Cream cheese is indulgent on its own, to begin with. Add fat, sugar, and sodium and see what the calories do to you. The cheesecakes sold, on average, have 830 calories and over 50 grams of fat. Try making your own cheesecake at home or even opting for Greek yogurt, a way healthier option. The unhealthy ingredient in this creamy dessert is undoubtedly sugar. The sugar, espresso, whipped cream, and mascarpone are just some of the reasons why this high-calorie, sugary dessert is lethal. Make one at home instead with light whipped cream cheese and egg whites for a healthier option. Though you may be surprised that butter substitute margarine has made it to the list, do remember the creamy margarine taste comes from additions of vegetable oil. Many blends include palm oil, with a high saturated fat content that leads to inflammation. Rather than spreading bread with margarine, opt for olive oil instead, but do check the amount. The tricky ingredient here is the oversized portion of beef meat. It was once a convenient meal option but has lost its value now. The dish comes with a lot of fat and extra sodium more so in terms of ketchup-based sauce. In fact, the average meatloaf sold comes with more than an average day’s consumption of sodium. Swap meatloaf with chicken or ground turkey for a leaner meat substitute and make this dish at home to ensure sodium and fat are in check. Here, the ingredient you need to watch out for is fat or sodium, or both. A taco bowl remains one of the quickest ways to consume additional calories, fat, and sodium in one go. Between the fried tortilla and the substantial fillings, the calories can pile on extremely fast. So, opt for a burrito bowl instead and don’t go for chips like the tortilla. Or make you very own taco salad. Here again, are the common culprits – sodium and food additives. Opting for a frozen pizza that’s quickly heated in the oven can save time, but not your health. High sodium counts are not the only problem. Ingredients like L-Cysteine hydrochloride, a salt for overdoses and ammonium sulfate, which is actually a lawn fertilizer are added horrors. Some pizzas even have BHT and BHA as well. So, there’s no safety in opting for this pizza option. It’s best to make your own pizza at home. Opt for whole wheat pizza dough base and a low salted marinara along with light cheese and healthy toppings. This is an unhealthy option because of the cream and butter. Alfredo sauce is made from parmesan cheese, cream and plenty of butter, which wreak havoc when it comes to your waistline. This dish is a calorific nightmare. So, if you crave pasta go for classic spaghetti using the Aglio e Olio recipe known for its limited ingredients. The unhealthy ingredients are sodium and simple carbs. These waffles are bigger, thicker and with deep grids, resulting in retention of more sugar syrup, cream, and butter. The need of the hour is to avoid choosing this as a breakfast option when you find yourself interested in diner cuisine. Traditional waffles can be whipped up at home and topped with fruit and pure maple syrup. The unwholesome ingredients are sugar and saturated fat, both of which Belgian Rings are reeking of. The onion ring is a wonderful example of everything that is detrimental, given that it is deep fried. It’s even worse than french fries, as onion rings contain more calories, more sugar, more saturated fats, and less potassium. If you’re thinking of items to eat, grilled calamari is a better option with tons of protein, fat, and zinc as well as B vitamins. Here again are the usual suspects, namely additives, sugar, and preservatives. Even nonfat varieties contain a lot of sugar and preservatives or chemicals. Adding further to the problem is the finding that mayo may be made of eggs but can sit on a supermarket shelf all because it has so many different chemical additives. Make healthier mayo at home by mixing mustard, lemon juice, pepper, spices, and Greek yogurt. Save more than 200 calories and twenty grams of fat per quarter cup serving. Additionally, Greek yogurt is rich in calcium and protein too, making it a healthier option. Here, the unhealthy ingredient is sodium, and though tortilla chips are not bad for you, they don’t offer any nutrition. Additionally, ground beef and pulled pork are added on. Then there is sour cream, guacamole and loads of cheese. So, naturally, there’s a lot of calories in this snack. Make your own steak or chicken or beans nachos with fewer calories and less fat or sodium. The problem ingredient here is sodium. Whether your dinner is fish or chips or both, the seafood is packed with lean protein and heart-healthy fats, but frying and eating it with deep fried potatoes loaded with sodium and fat undoes this.Grilled fish is way more healthy. The trouble-making ingredients here are sodium. and saturated fat just adding to the calories. Pure cheese sticks are a better bet and can be paired with grapes or almond for that perfect snack. French toast contains plenty of sugars and sodium, especially when you’re dining out at a deli or restaurant. There’s a lot of fat, sugar, and salt to a meal high in calories as it is. Opt for homemade smoothies and quell that sugar rush. Or choose fruits as a side ingredient for French toasts to make the food more healthy. Yes, croissants are baked, but they come with their own share of issues. These baked goodies contain margarine and vegetable oils.If that’s not enough, biting into a buttery croissant further shoots the calories up. A Dunkin’ Donuts butter croissant clocks 340 calories alone with 8 grams of saturated fat and over 19 grams of fat! Chocolate croissants are even more calorie dense. Instead opt for oatmeal and porridge, if you want to stay fit and healthy. High on sodium, filled with chemical additives – how can canned soups actually be good for anyone with such lethal ingredients. Excess amounts of salt of over 1,000 mg in some cases can be a real issue. This also serves to disrupt satiety cues and overworks the kidneys by flooding the system with sodium which attracts water, makes you retain and bloated and look heavier than you are. Here, the tricky ingredients are palm oil, food colors, and caramel coloring. These ingredients found in bouillon chicken cubes like Knorr are dangerous. On the other hand, palm oil increases bad cholesterol, combining with vegetable oils low in saturated fats. This then leads to a big weight gain. Additionally, carcinogenic food colors can impact your health, too. Store bought muffins contain a plethora of dangerous additives like mono and diglycerides. Additionally, muffins contain huge amounts of sugar, as well. Store purchased muffins contain over 400 calories and the foods are rich in fat and sugar, therefore being addictive.Try low sugar, high fiber waffles instead. Better still, make breakfast at home. Another hot favorite is Mac and Cheese. But this has lethal ingredients, too. Kraft’s Mac and Cheese, for example, has over 600 mg of sodium and salted pasta water or butter to boot. A large part of your calorific requirement for the day is met by a single serving alone. High intake of sodium per serving and you’ll be prone to heart disease as well as hypertension, according to the AHA. Another unhealthy option is frozen pies as these are rich in hydrogenated soyabean oil. This ingredient is present in vast quantities, along with additives and preservatives to ensure the pie does not lose its taste! A homemade pie is a safer and healthier option. Sodium phosphate, sodium, sodium nitrite, and corn syrup are some of the troublesome ingredients in hot dogs. High levels of sodium and carcinogenic nitrates are just two of the biggest issues with hot dogs. BBQ food also has sodium phosphate. Studies have found high levels of serum phosphates due to dietary consumption lead to chronic kidney and heart diseases, weak bones and accelerated aging. Generally, people talk of how Chinese food is actually healthy, whereas if you’re opting for an Oriental takeaway, it’s actually not! Sodium is the key reason behind this. Without a doubt, the saltiest meal on the planet is Chinese. Hot and sour soups, for example, typically contain over 9000 mg of salt, up to 4x times what the US FDA recommends you eat in a WHOLE day. Opt for less appetizing options like steamed Chinese items and save your health. Deli Meats are another unhealthy option, courtesy the excess sodium. Deli meats can put your life at risk. Just two thinly sliced pieces of meat contain more sodium than pretzels. In fact, over 650+mg of sodium can be found in a couple of slices. A diet filled with sodium can trigger hypertension and disease. On average, Americans consume diets high in sodium at around 3400 mg per day. AHA recommends lower sodium options, when available.Even natural, uncured meats contain nitrates form natural additives. Negative health options remain real. This is why the American Institute of Cancer Research focuses on reducing the intake of processed meats to 18 ounces in a single week. With synthetic coloring, saturated fats and added sugar, these artery-clogging fats and addictive sugars in candy are simply not healthy. Certain candies can even cause ADD or attention deficit disorder, especially Yellow 5 and 6 found in M&M candies. So give artificial candies a wide berth if health is important to you. The problem areas here are artificial flavors and colors. A slice of sugary, chemical-laden cakes is not what you should be celebrating a birthday or anniversary with. Whipping up cake mixes from a box may seem easier, but it is detrimental for health. Cake mixes like Betty Crocker are loaded with belly bloating sugar and questionable chemicals. Don’t harm health by opting for excessive sugar. Most baked products in the US contain potassium bromate, an ingredient banned in the UK and Canada as it is a known carcinogen. Bromated flour is used to make bagel chips, rolls, wraps, bread and bread crumbs as pe an EWG 2015 analysis. The end result is the dough strengthener leads to cancer induced tumor in animal studies, suggesting it could be fatal to humans. Kidney failure and cell deterioration are also the results of eating this chemical in baked foods according to the EPA’s 2001 toxicological investigation. While the US FDA has encouraged bakers to stop it since 1991, the EWG further found evidence of it lurking in 86 different types of products, including disco dough. The problematic ingredients here are sugar and refined white flour. Unless it says 100% whole wheat. wheat bread is not better in any way. Most of these bread contain whole grains mixed with unhealthy refined flour.Further, manufacturers increase the amount of added sugar to bread made with whole grains. Such foods like chocolate covered doughnuts are chock-a-block with polysorbate 60 also known as polyoxyethylene-20-sorbitan monostearate. This additive is used in the food industry rampantly and comprises palm oil, petrol and palm oil. This replaced dairy products in baked items. It is generally contaminated with 1,4 dioxane is carcinogenic cancer found in humans.Foods coated with real chocolate is way better. Unhealthy ingredients found in this include sodium benzoate, yellow 5 and polysorbate 80. Coloring agents and polysorbate 80 are just some of the ingredients linked to cancer in mice. Potentially, it could be carcinogenic for humans, too. Pickles are also associated with sodium benzoate linked to mitochondrial damage. Mitochondria are the power station of the cells. The ingredients here are sugar alcohols and artificial sweeteners that can cause a real problem. A bulk of this gum is indigestible, containing artificial sweeteners and sugar alcohols. Sugar alcohols are sugar substitutes known to cause GI symptoms like bloating. Sorbitol, particularly, takes a long time to digest.Any undigested sugar alcohol within the small intestine leads to bacterial fermentation, causing more flatulence and bloating. As far as artificial sweeteners go, one can study additives and see why they are so bad for health. These additives trigger sweet receptors and rev up hunger. This could artificially stimulate the appetite. If you’re fond of chewing, opt for sunflower seeds. They are tasty and an excellent source of vitamin E. This is a primarily fat-soluble antioxidant. Even low-fat peanut butter is not healthy, because it contains sugar, sodium and hydrogenated vegetable oil. Peanuts on their own are excellent sources of protein and fiber. But the other ingredients used in low-fat peanut butter are simply terrible. Naturally occurring fats are stripped from peanut butter, only to be replaced by sugar and excess salty condiments. Skip waist-widening sugar and salt and enjoy full-fat natural peanut butter. Or opt for healthier versions without oil, sugar or salt and get cholesterol-lowering MUFAs from peanut. Among all those processed foods out there, this one is common. It contains artificial flavors, disodium inosinate, and caramel coloring. When a burger is a meal, it comes with all these ingredients. MSG type chemical disodium inosinate which improves flavor and revs up the appetite. Caramel coloring is carcinogenic. Unhealthy, problem-causing ingredients ae sugar, high-fructose corn syrup, and yellow#5. Along with bottled sugar, brands like Minute Maid use Yellow#5, artificial coloring linked to impaired renal functioning and hyperactivity. Opt for infused water instead and cut down on the sugar and calories. These sugar-filled ice cream accessories are dangerous for health. They contain too much sugar, apart from hydrogenated oil, artificial colors and real wax, much like the scented candle which smells so awesome. Opt for almonds or nuts instead, if you seek a healthier option. These have every problem ingredient you can think of, from sulfur dioxide to calcium chloride, potassium sorbate, sodium benzoate and high fructose corn syrup besides red coloring agent Red#40. Mix up preservatives, corn syrup, and dyes and you can get the Maraschino cherries which are high-calorie engineered foods. Opt for natural cherries instead, which fight belly fat because they contain resveratrol. This also fends off dementia. This has potential disease-causing ingredients like carrageenan and sugar. Most fruit-flavored yogurts contain less actual fruit and more sugar. The brilliant coloring is not natural either. It’s generally from fruit juice concentrate. Further, carrageenan is a plant-linked preservative which aggravates GI issues and is commonly found in flavored yogurt. These caffeinated drinks contain huge amounts of sugar. Bottled coffee beverages are equally dangerous. Some of these sickly sweet drinks come with added sugars, which are way more in quantity than recommended by the US FDA.The Starbucks coffee doles out 32 gms of sugar for a 9.5 fluid ounce bottle. Read to drink coffee may just be a really unhealthy option. Instead, opt for home-brewed coffee and reap the benefits of this energizing drink. What’s fishy about frozen fish or seafood products is the STPP or sodium tripolyphosphate included in your fillet packet. STTP is a potentially neurotoxic substance and registered pesticide considered safe to eat by US authorities. FAO, however, states that STTP is not an essential agent for frozen fish products. Adding STTP increases levels of sodium in the food, countering positive healthy heart benefits of consuming fish in the first place, and increasing the risk of dietary phosphates. These are linked to renal failures as well as cardiovascular diseases. Further, EU, Canada, and other countries have limited on the SSTP permitted in your food is less than 0.5%. Unfortunately, the US has no such restrictions. Some companies may indicate the presence of these additives. Most don’t as they are statutorily not required to. Seafood that is labeled wet and not dry is sure to have this ingredient. Granola bars have been considered healthy, so why has this been included in a list of unhealthy foods? Quite simply because it is processed, containing sugar, corn syrup, sorbitol, BHT and soybean oil. The stuff that’s put into these bars is hair raising. BHT is a banned potential carcinogen. On top of this soybean oil and corn syrup as well as sugar add on the fat and calories. Opt for chemical-free granola bars from reputed companies to save your health. These are unhealthy too, containing caramel color, high-fructose corn syrup, artificial flavoring, and carrageenan. Replacing your meal with such shakes also means cutting down on minerals, fibers, and vitamins eaten in a regular meal.So, there’s a double whammy out there. From blood glucose spiking high-fructose corn syrup to maltodextrin, and additives which cause cancer, these shakes are bad news. Instead of this, make your own smoothie or shake at home. At least you’ll be sure of the ingredients, that way. Oils high in omega-6 fatty acids are found in butter substitutes and contribute to chronic inflammation. This causes medical issues ranging across weigh gain to depression. Palm oil is high in saturated fats that raise levels of bad cholesterol. When a light version of butter spreads is chosen, you get mono and diglycerides factored in as well. These are a class of trans fat that have escaped the US FDA but are nevertheless trans fat. Choose healthier monosaturated fats like olive oil and increase intake of unsaturated omega-3 fatty acids like flax seeds, fish and chia seeds. Sure salads are healthy, but what about salad dressing? Not so healthy, after all. Just two tablespoons of salad dressing can contain as much sugar as a Krispy Kreme donut or even more! Further, high fructose corn syrup causes increased appetite, obesity, and diabetes. Some salad dressings pile up on sugar, others on fat.Make your own dressing using olive oil, lemon juice, honey, balsamic vinegar, and mustard. Again, the problem here is the corn syrup. Just because there’s no alcohol does not mean fruit cocktails are any healthier than oversized margaritas. With high-fructose syrup in fiber-less fruits, the problem is further aggravated. BPA packages make the situation worse and cause hormonal issues, too. Instead, eat plain fruit and be secure in the knowledge that it’s not loaded with sugar. Tell your gym buddies to steer clear of protein bars. These contain sugar, artificial sweeteners, caramel color and polysorbate 60. A great body is 80% nutrition chiefly. But protein bars are ruining that/ Combining sugar, carcinogenic coloring agents and additives, they create toxic compounds when combined with ingredients like artificial sweeteners. Sugar-free protein bars are, therefore, the worst. Here are the ingredients that play spoilsport when it comes to flavored rice. Diglycerides and corn syrup solids ensure your flavored rice contains trans fat. Fattening sweeteners like corn syrup solids for flavor add to the conundrum. Instead of preservative type pre-seasoned or flavored rice, opt for healthy toppings or just eat your rice plain. Understandably, the jam is dangerous. But what harm could sugar-free jam cause? A lot, as per researchers who found sucralose in a sugar-free jam in a 2016 study. 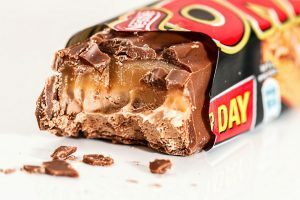 This causes the metabolism to recalibrate the connection between sweetness and calories in the brain. Mice consumed 30% more calories when switching from sucralose to sugar, Further, this leads to bad GI or gut health and poor sleep quality. Top off your sandwiches with veggies and fruits for a healthier option. Why opt for sugar-free chocolate? If you think it’s healthier, think again. Unhealthy ingredients in this range across maltitol and sucralose. Maltitol can be a potent laxative and a real problem is sucralose, which is bad for gut health. Beans may be good for health, but not when they are refried, as they contain lard and hydrogenated lard. High in saturated fats, these beans should be far away from your grocery list. Opt for low sodium, healthy options instead. Check out Vegan refried beans light in sodium for a better choice. These contain red#40, a carcinogenic coloring agent, besides diglycerides and carrageenan. 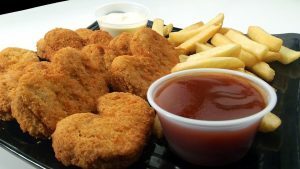 These are the synthetic additives that make it easy to store the nuggets but damage your health in the bargain.Organic chicken breasts are way healthier and you can even opt for homemade nuggets. High protein intake was once associated with good health. But if you’re snacking on beef jerky, you have missed the bus. These chunks of meat contain caramel color and corn syrup. They are bad for health, clearly. High protein snacks need not be unhealthy, provided they are not processed. Here, the problem comes from sugar, corn syrup, TBHQ, soybean oil, and caramel coloring. These ingredients are known for their dangerous impact on your health. Corn syrup and soybean oil increase bad cholesterol. While TBHQ is an additive causing liver problems and vision issues according to the National Library for medicine, caramel color is a known carcinogen! Fried chips like Doritos come with trans fat and MSG, both of which are terrible for health. The long hang time flavor of such chips due to MSG motivates you to eat more and more. Until you become obese! Remember the Lays Ruffles tag line- No one can eat just one. With MSG, you literally can’t. Even if your jello is sugar-free, it contains aspartame, acesulfame potassium and artificial flavors which can have deadly results. Jello is known for its harmful impact when additives are added. So use gelatin and fruit with honey to get a preservative-free dessert. With zero calories, how could artificial sweeteners like Splenda be bad? Let’s find out! A meta-analysis of 37 studies of 406K persons found artificial sweeteners like these lead to weight gain and cardiometabolic risks as well. Soda has to make it to the list. With HFC, and artificial sweeteners, how can it not? Sugar adds on to the deadly equation, too. So avoid these sodas and opt for plain H20. Hormones, antibiotics, MSG, salt, cheap oils – there are so many reasons to avoid fried chicken. There are trans-fat and known carcinogens in this food. This one’s bad for health on account of hormones, dairy, antibiotics, and salt forming a deadly combination. Already teeming with cheese, burgers are bad for health. Add meats like bacon which are cured, and you will have a deadly trans-fat cocktail ready and waiting for you! Salt-rich, unhealthy fat bombs – that is what French fries should be called. Side salads are a better bet! Artificial milkshakes with additives can be the lethal brew, given chemicals saturated fats and sugars besides artificial chemical thickening agents and colors added to it. Health should remain your priority because a medical condition can make you lose out on life. Don’t fall prey to junk food and the deadly medical conditions associated with it. Opt for organic, whole grain and healthy fats if you want health to remain in your hands.